QuadCross ketchup post and Midnight Ride CX – Team Monster Truck p/b Hub Bicycle Co.
Special thanks to Grant for the group photo. Here’s a link to the rest of his album. Addendum: looks like we more or less wrote the same exact post last year. Weather: Kind of cool, misty and dewy for most of the day. Dried out ok by single-speed race. I had a bit of a score to settle at this race, not a particular vendetta against any other racers mind you, but just the fact that this was one of my worst performances last year. Having my QR skewer fall open at an inopportune time and being completely unable to commit to riding uphill after those swoopy descents in the woods caused me to lose so many places last year. That was not the case this year. 16/32 (top 50% woohoo!). 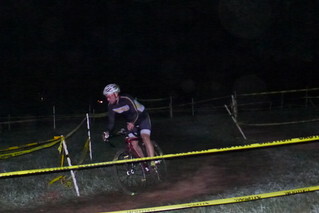 Clearly, I learned my lesson and ran the shifty sandy turns and didn’t slow down/wash out like I did last year. I would also like to think my uphill barrier style was on point. Special thanks to CXy Dan for the rad slowmo video. click image to view. Special thanks to CXy Dan for video. Also in background: Portia Cornell from the Harvard team yelling at me to sprint. I seem to have forgotten how to do that. 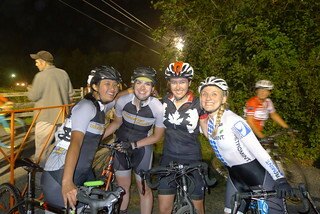 It was also Katie’s first race, so major props to her for keeping the rubber side down even when we haven’t gotten to downhill/off-camber cornering at practice yet. Special thanks to CXy Dan for taking this video. Click image to view. The rest of the day was spent cheering and heckling friends and teammates while drinking chocolate milk. I was still pretty fried by the end of the day for the singlespeed race 6/7 (still glad I did it though since now I know I probably shouldn’t keep my gearing so spinny). Weather: Cool, but a complete dust bowl. Good practice for Gloucester though since we’ll all be hacking up brown stuff for a good part of a week. This race was a lesson in managing expectations. I was really hoping for a top ten since this race (or at least course) was one of my most improved performances in 2014. However, I was feeling a bit off considering I may have gone a bit overboard with my tapering (and by “tapering” I mean completely not training or riding at all this weekend). Also, I have a tendency to underestimate this course. It’s pretty straightforward and you can pedal through most of it (in theory). However, I lost a bunch of places on the reverse course for Minuteman last year when I ran out of gas and a chasing group passed me. Anyway, I got off to a pretty terrible start when once again, I failed at understanding how sprinting works and lost about ten places despite starting in the second row. To be fair though, everyone was pretty sketched out by that gravely hole shot. Scary starts and downhill cornering aside, I more or less managed to claw my way back a few spots after watching someone eat it in the woodchips of doom and pass people on the uphill straightaway. Looking at my Strava lap data, even though the course had its variations (like no more ramp this year), it looked like I cut my overall lap time by about 30 seconds, so that’s definitely nothing to sneeze at. 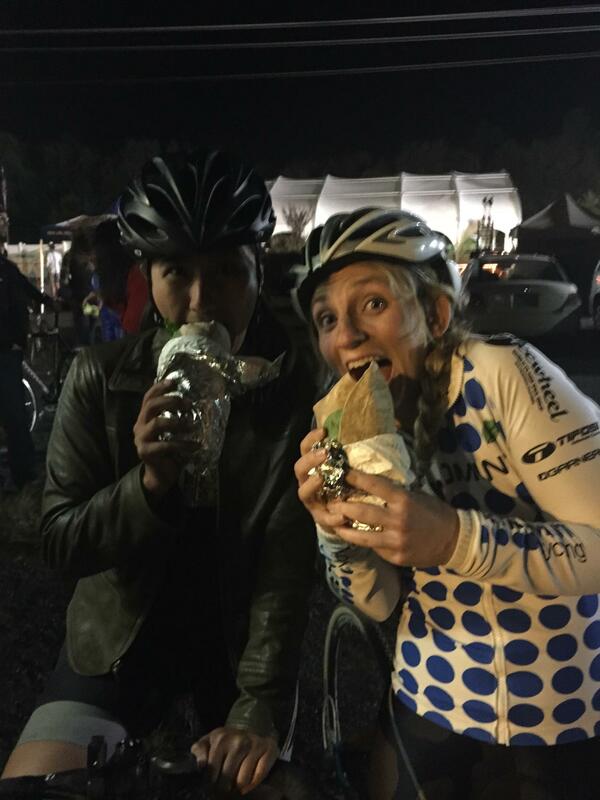 At the end, I was so tired that I could barely even eat the delicious burrito CXy Dan got me from the Taco Party truck. I look forward to MonsterTrucking and getting CXy with you all this weekend at Gloucester and next week at Night Weasels and Providence!